HubSpot is an inbound marketing and sales software platform that helps companies attract visitors, convert leads and close customers. 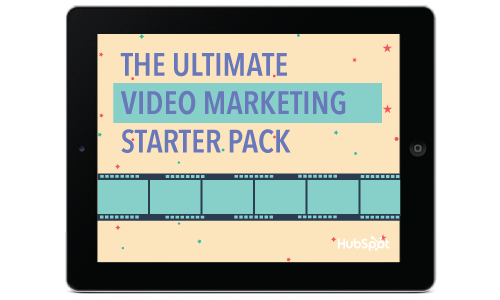 Videos, templates, resources, and tips on how to get your video marketing strategy off the ground. 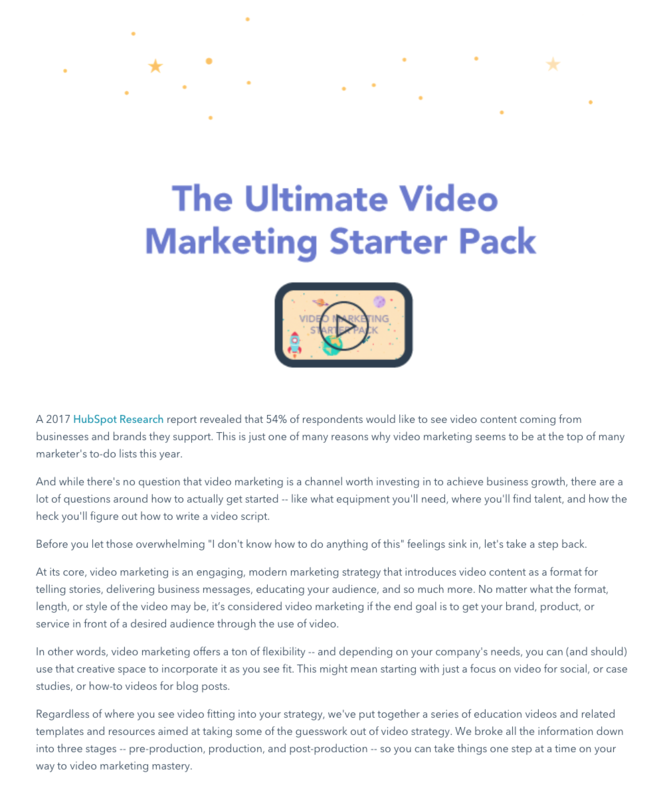 A 2017 HubSpot Research report revealed that 54% of respondents would like to see video content coming from businesses and brands they support. This is just one of many reasons why video marketing seems to be at the top of many marketer's to-do lists this year. 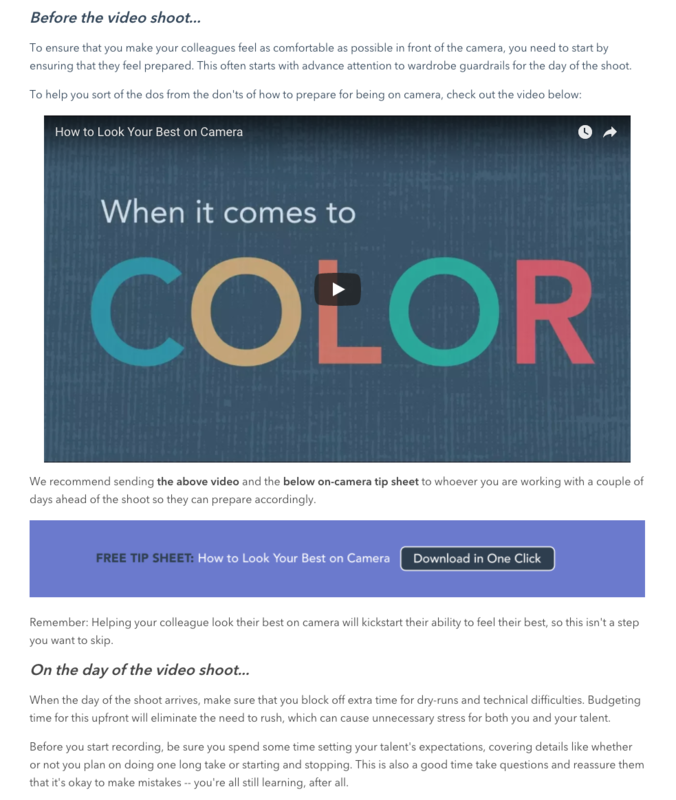 Trouble is, video marketing isn't something you just wake up and start doing one day. That's why we've put together a series of educational videos and related templates and resources aimed at taking some of the guesswork out of video strategy. We broke all the information down into three stages -- pre-production, production, and post-production -- so you can take things one step at a time on your way to video marketing mastery. 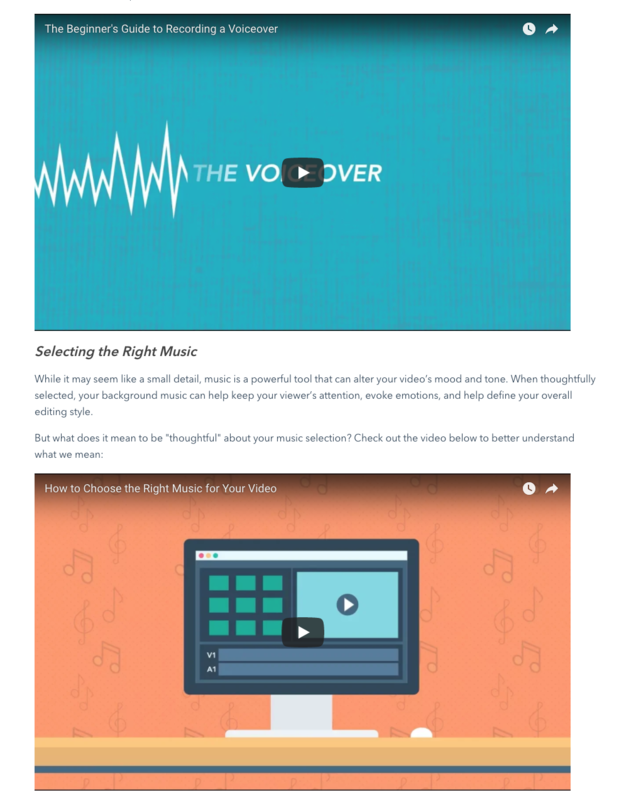 Video Script Templates, Performance Rubrics, Video Idea Sheets & More! Why do I need to fill out the information requested? Absolutely. Just sharing some free knowledge that we hope you’ll find useful. Keep us in mind next time you have marketing questions!